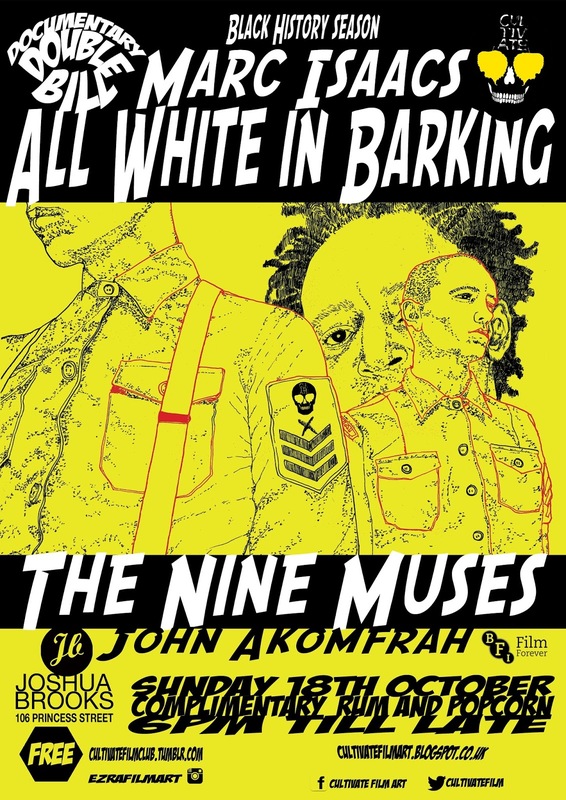 This week we focus on documentary first up is Marc Isaacs ALL WHITE IN BARKING is a heart felt, compassionate look at racial integration in the London borough of Barking. Still probing, still insightful but done with respect for it protagonists. 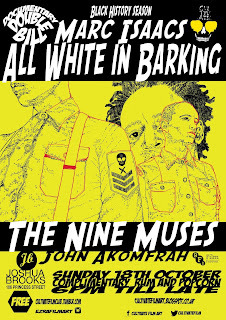 Next up is John Akomfrah's THE NINE MUSES a stylised retelling of post-war migration to Britain, turning it into a poetic as well as a personal journey referencing heavily to Homer's Odyssey. Two film that take an intelligent look at race and migration. With the usual free popcorn and rum.